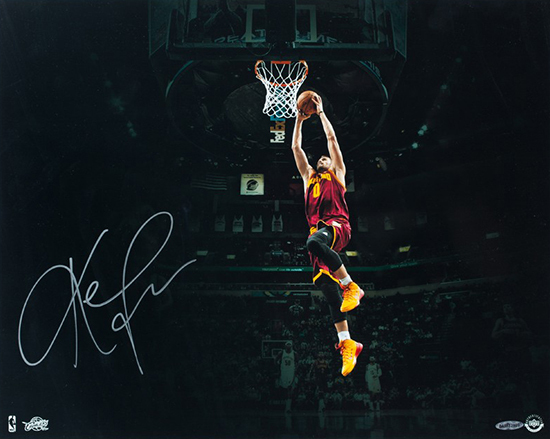 Kevin Love has Become Everything the Cleveland Cavaliers Hoped For and More! 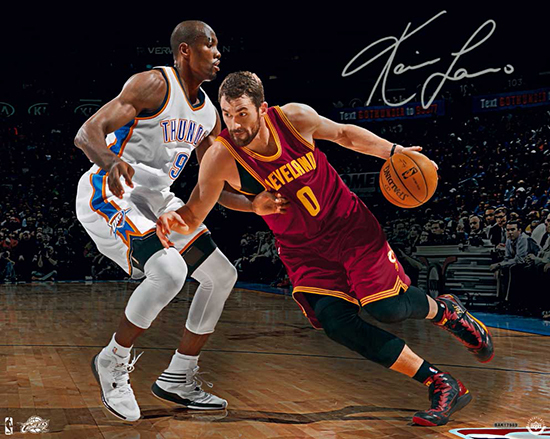 Kevin Love’s move to the Cleveland Cavaliers was not an easy one as coaches and even Love himself struggled to figure out the best ways to integrate his style of play with the team. This season, and particularly during the NBA Playoffs, it seems like Love and the Cavs have figured it all out with the team firing on all cylinders. Love was instrumental in helping the Cavaliers sweep their two first challengers in the Detroit Pistons and a scrappy Atlanta Hawks team. With the 3-pointer becoming more important in the NBA, Love’s skill from behind the arc has been critical to the team’s success in the playoffs. With Kevin Love, LeBron James and Kyrie Irving healthy and playing so well, this could very well be the year Cleveland celebrates their first championship since 1964 when the Browns won the NFL Championship (pre-Super Bowl era). 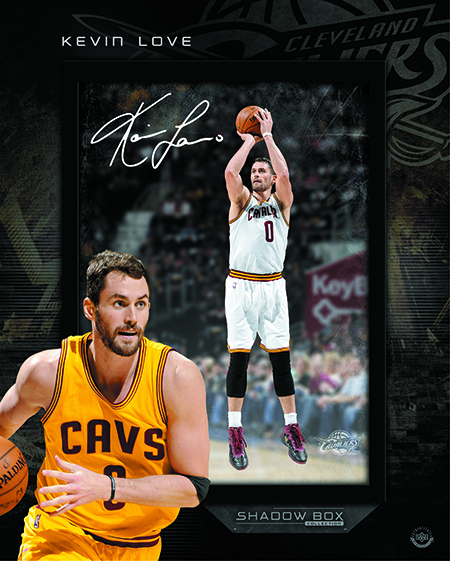 Upper Deck recognized the talent of Kevin Love and the potential for him to be a key player in this resurgent franchise by signing him to an exclusive autograph deal in 2015. 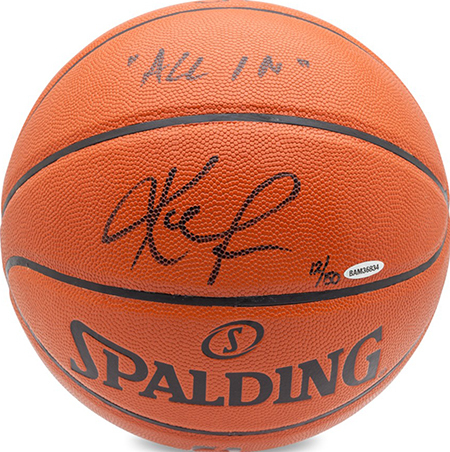 Today there are a variety of cool collectibles available for Kevin Love that are worth investing in now as he has taken his game to another level. Love made a pretty clear statement about his intentions to help the team succeed this year when he said, “We’re all on the same page and we’re all in.” It will be fun to watch him continue to grow with the team! 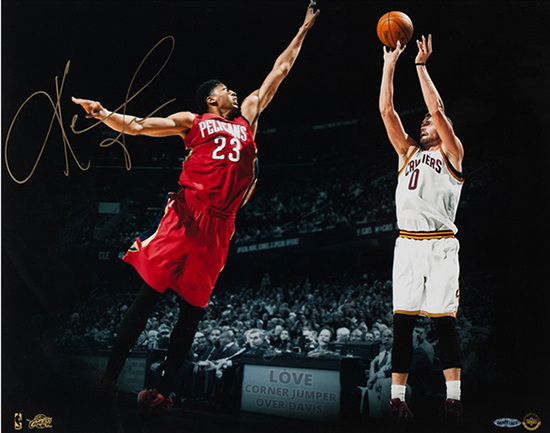 For more exclusive Upper Deck Authenticated signed memorabilia for Kevin Love and LeBron James, please visit www.UpperDeckStore.com.